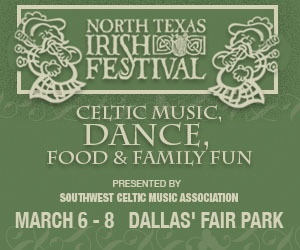 The pipes may have called Danny Boy away, but this year, they will bring thousands of fans of this beloved festival back to Dallas’ Fair Park March 6-8, 2015, for everyone’s favorite celebration of Irish music and culture, the North Texas Irish Festival. Presented by the Southwest Celtic Music Association, a non-profit that promotes the great traditions of Irish culture, this largest cultural festival in DFW is also revered as one of the best Irish festivals in the U.S. This year’s theme, The Pipes Are Calling, is a nod to that unique instrument so beloved in Celtic culture that produces such a haunting sound that it is a stirring call to arms and battle, as well as to tell tales of love and lore. From the traditional Scottish great pipes that most people recognize as “bagpipes,” the festival will also feature the world’s top musicians on the uillean pipes, or small pipes, the national bagpipe of Ireland, and the gaita, the bagpipes of Galicia from Spain’s northwestern region. The North Texas Irish Festival features top Irish musicians and dancers from around the world and a number of cultural presentations on 14 stages at Fair Park. After all that music and dancing, hungry appetites can be satisfied with Irish stew, Shepherd’s pie, or even fish and chips at one of the many food booths featuring traditional Irish cuisine. Cooking presentations from top chefs will modernize Irish classics with new flavor twists and cook with traditional Irish ingredients like Guinness — fare that attendees can taste and then wash down with a glass of their favorite Irish beverage. Whiskey tastings, blacksmithing demonstrations, Gaelic football and horse displays allow attendees to experience Celtic culture. Urchin Street kid-friendly activities include children’s entertainment, a petting zoo, safety demonstrations and art activities. Storytellers (those blessed with the Blarney gift of gab!) will weave tales of Celtic lore for everyone to enjoy. Headlining performers at the 33rd Annual North Texas Irish Festival include: Carlos Núñez, Paddy Keenan, Eileen Ivers and Immigrant Soul, The Screaming Orphans, Open the Door for Three, Seamus Kennedy, Lúnasa, Piper (EJ) Jones and Matt and Shannon Heaton. Featured performers include: 5 Second Rule, BEHAN, Beyond the Pale, Coolin, Earl Grey in the Morning, Flashpoint, Irish Rogues, Jeff Ward, Jiggernaut, Jigsaw, Jim Flanagan, Michael W. Harrison, North Texas Caledonian Pipes & Drums, Poor Man’s Fortune, Scotland Rising, Seamus Stout, Tea Merchants, The Jig Is Up!, The Selkie Girls, Therese Honey, Threadneedle Street, Trinity River Whalers, Tröen, Tullamore, and Vintage Wildflowers. The music goes on all weekend and encompasses myriad approaches to Celtic music from traditional jigs and reels to pub ballads to Celtic rock. 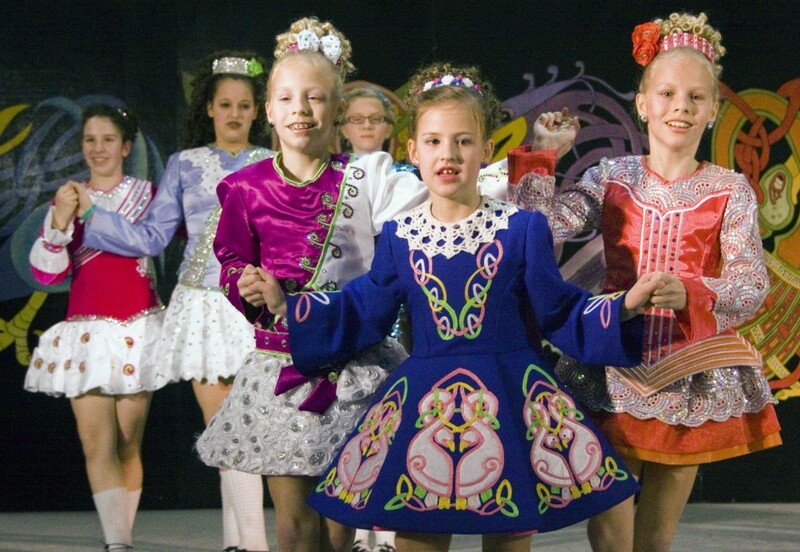 Some of the world’s finest Irish Step Dancers are located in local schools in the DFW Metroplex, including the well-known Emerald School of Irish Dance, the Shandon School of Irish Dance, the McTeggart Irish Dancers and the Maguire Academy of Irish Dance. Performers from these schools will delight audiences with continuous performances on the dance stage. The colorful traditional and modern Irish dancers with their hand-embroidered dresses and fast foot- tapping rhythms are not to be missed. In addition, there will be dance workshops throughout the weekend, and everyone is encouraged to get into the spirit of Ireland at Saturday night’s Dance “Ceili,” a traditional Irish party led by a local Irish dance instructor. The North Texas Irish Festival brings together a wide variety of exhibitors, workshops and demonstrations. Urchin Street will offer a special place where kids can find entertainment, education, play and fun, including crafts, music, dance, storytelling, magic and mystery. Storytellers — or “seanchaí” in Gaelic – will perform traditional Irish stories in the way that the Irish learned of their history for hundreds of years. Equestrian shows, blacksmithing, archery and other amazing demonstrations will be performed in the Marine Square and Fountain Plaza area of Fair Park. And not to forget that the Irish do love their “sport,” hurling and Gaelic football will also be featured throughout the weekend and in two special demonstrations. The “First Texas ‘Ceili” (pronounced “kay-lee” and meaning “gathering” in Gaelic) was held in 1983 at a local Oak Lawn pub and has grown into the largest celebration of Irish culture in the Southwest as the 33rd Annual North Texas Irish Festival, presented by the Southwest Celtic Music Association, a 501(c)3 organization dedicated to providing music and dance scholarships and supporting other major Celtic cultural events in DFW. The North Texas Irish Festival is one of the most respected Irish festivals in the U.S.
Gates open on Friday evening, March 6, at 6 p.m. Hours are 6 to 11 p.m. on Friday; 10:30 a.m. to 11:30 p.m. on Saturday, March 7; and 11:30 a.m. to 7:30 p.m. on Sunday, March 8. Tickets will be available online in early 2015 www.ntif.org. Admission is FREE on Friday from 6 to 7 p.m.; $10 after (50% off coupons online at www.ntif.org). A one-day ticket is $20 on Saturday and $15 on Sunday at the gate, while a two-day ticket is $25 and a weekend pass is $30. Discount tickets for all three days will be available at area Tom Thumb stores in February. Children 11 and under are FREE when accompanied by adult family member. Seniors over 65 or current military members (with valid military ID) receive $5 off all gate prices. Dogs are allowed in on a short leash with a $1 requested donation to animal rescue groups supported by the festival. Leprechauns (in full ceremonial dress and carrying pot of gold) are FREE. Parking is available in and around Fair Park, or attendees can take the DART Green Line (take the Green Line and save some green!) to the front entrance of Fair Park and the North Texas Irish Festival. Detailed directions and parking tips are available at www.ntif.org. The public can call (214) 821-4173 or visit www.ntif.org for more information or to volunteer to work at the festival.